The editorial space is overwhelming, the Twittersphere and Facebook walls have gone feral and talk back switchboards have strained under the pressure as the Eatock Vs Bolt decision came in. But why the fuss…? There is nothing I can add to the debate that hasn’t already been said on the verdict and the fall out for those involved on both sides and the legal implications. However what has been missing this week is some perspective. Andrew Bolt a man not known for his moderate views wrote two columns that should never have seen the light of day. Not because he doesn’t deserve free speech or he doesn’t have a right to express his opinions. But because the pieces were so full of factual inaccuracies that they do not belong in any major newspaper in this country. If Bolt has an editor and I assume he does, they simply did not do their job. Clearly he is hired to be controversial, a flame thrower and partisan zealot whose success comes from driving people apart and polarising opinions. In short he is a Bully in the written form and this time he seriously overstepped the mark. He was pulled into the principal’s office, given a dressing down and like every other Bully before him came out of the office the victim, the martyr who just wants everyone to get along. “I argued then and I argue now that we should not insist on the differences between us but focus instead on what unites us as human beings,” Bolt said. Until of course he got back to the safety of his computer and once again the keyboard warrior took aim at all and sundry. So let us step back, have a cuppa tea and gain some perspective on all of this. Bolt is NOT the victim. He named many very high achieving Indigenous Australians and the only way he could sully their names was to make things up. The end! But what has followed shows just how little perspective Bolt and many of his colleagues in the media and politics have. Life in Australia for middle to upper class journalists is not a tough one. They very rarely get sued, they never get thrown in the clink for urging greater democracy in their nation and the vast majority don’t have to leave their desks and head into war zones, refugee camps or famine ridden slums to get a story. 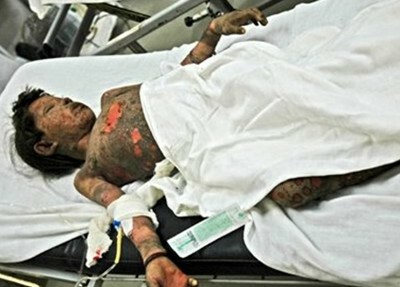 A bombed and burnt child is a front page story, Andrew Bolt is not! Therefore it comes as no surprise that a decision like this has turned every newspaper and news website in the land into a smorgasbord of opinion, feigned outrage and overnight expert legal opinion on the issues of racial vilification and free speech. All of it wildly missing the mark that Bolt was wrong, his punishment will be extra light with skim milk, the complainants vindicated and the world still just as complex as before the decision. If only these same newspapers dedicated as much editorial space to positive Indigenous stories or the real success of Multiculturalism. If only as many lawyers with a comprehension of migration law had been called upon during the opening days of the “Tampa” crisis, “Children Overboard” and the “Malaysian Solution”. When are we going to get full-page stories on the disgraceful life expectancy gap between Indigenous and non-Indigenous Australians? Any chance we could have a week of outrage at the fact that 1 in 4 girls and 1 in 6 boys will be sexually abused in this country before they are 18? Or what about the fact we are STILL IN A WAR! Yes media men and women, ladies and gents we are still in a war in Afghanistan, longer than our involvement in Vietnam, WW1 or WW2 and yet it barely rates a mention. Or the fact that a very preventable famine is killing a child every few seconds in the Horn of Africa. Dead………., Dead………., Dead……. and from the media, SILENCE! The media in Australia have it very easy, Andrew Bolt is not a victim and the complainants in the case should NEVER have been vilified in the way they were. All of them have shown themselves to be brilliant Australian’s dedicated to many of the causes I have mentioned. The issue here is not one of free speech or the tweaking of any law that may impact on that. The real issue is that the Australian media has been asleep at the wheel and on a very simple issue of right and wrong that could have been reported by a nine year old we’ve been forced to endure a Blitzkrieg. Next time the media wish to roll out the big guns, call in an air strike or a naval blockade I for one hope it is on an issue that really is about uniting and not dividing or an issue like famine, war and child abuse that we simply cannot as a nation afford to ignore. The story this week is that Andrew Bolt is an idiot, but so are we if we allow the issue of a national debate to be him and his ignorance. I published my first piece of journalism in 1992. It was a story about the Aboriginal Housing Company in Redfern. In the last twenty years, I have used my skills across publishing mediums and literary genres to write positive stories about Aboriginal Australia with the aim of building bridges between black and white communities. On April 15, 2009, with a flick of his pen, Andrew Bolt in his article ‘It’s so hip to be black,’ managed to burn down many of those bridges, by writing words about me (and others) that discredited me professionally, while also offending, insulting and humiliating me. People on his blog also made racist remarks, that also offended, insulted and humiliated me. I have always identified and lived as an Aboriginal woman, I’m a Williams from Cowra, a proud member of the Wiradjuri nation. Mr Bolt’s article suggests I made a ‘decision to be Aboriginal…’ which ‘was lucky, given how it’s helped her career’ and that I had ‘won plum jobs reserved for Aborigines at Koori Radio, the Aboriginal and Torres Strait Islander Arts Board and Macquarie University’s Warawara Department of Indigenous Studies’. What Mr Bolt failed to mention is that I am an established writer and highly qualified with a PhD in Media and Communication, and that in fact none of the jobs he mentioned were actually ‘reserved’ or identified Aboriginal positions, and the Koori Radio role was actually voluntary and unpaid. In his witness statement to the court Mr Bolt claimed to have used a photo of my mother on her wedding day as evidence to determine she, therefore I was of mixed-heritage and could not or should not identify as Aboriginal. The photo Bolt submitted was taken directly from my blog and a post I made on February 7, 2011, almost two years after he wrote his article, so his misrepresentations about me continued. As former Chair, Deputy Chair and Committee Member of the Australian Society of Authors, I have long advocated and been part of campaigns to protect the rights of Australian authors. At the same time, I have always advocated for responsibility in writing, and an ethical approach to publishing. I am pleased (although not surprised) with the judgment handed down today by Justice Bromberg in the Federal Court of Australia. I believe the result means that Australia will have a higher quality and more responsible media, and that to some degree the persecution of Aboriginal people in the press will be lessened. And that was why I chose to be part of this case. Australian readers also deserve better. I thank my legal team: barristers Ron Merkel QC, Herman Borenstein SC, Claire Harris, and Phoebe Knowles, my solicitors Joel Zyngier and Nathalie Dalpethado (Holding Redlich) and Aislinn Martin (Tarwirri). I’d like to express my heartfelt gratitude for their tireless efforts in seeking justice for not only the named applicants but all those Aboriginal people who were reasonably likely to have been offended, insulted, humiliated or intimidated by Mr Bolt’s writings. I am continuing to focus on what I love doing most, working with young Aboriginal people around the country and teaching them how to write their own stories, in the hope they too will one day have the position of privilege to publish their own words. Dr Anita Heiss (http://www.anitaheiss.com) is the author of adult fiction, historical fiction, children’s fiction, non-fiction and social commentary. Her latest novel is Paris Dreaming (Random House, 2011). 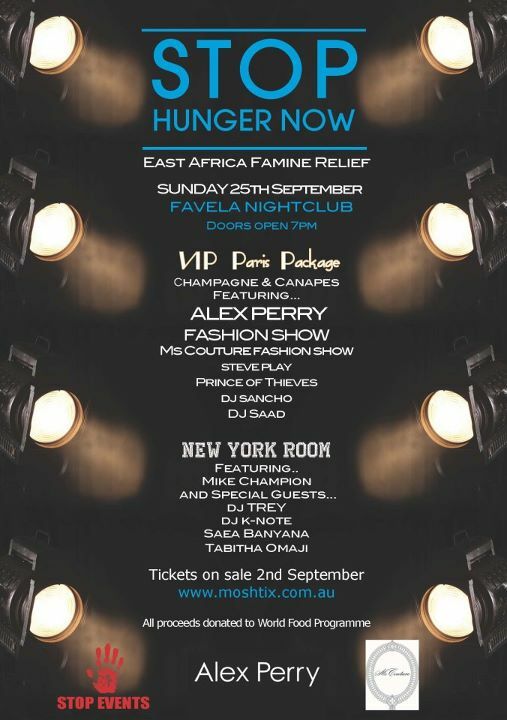 Fashion & Music come together for the East Horn of Africa Famine Crisis. 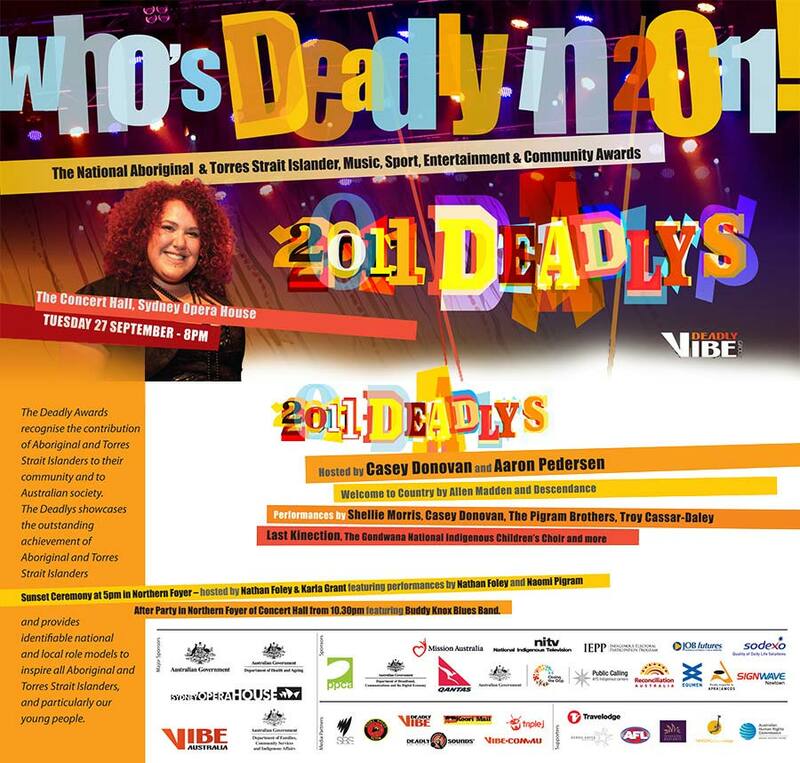 Featuring friends of 1DEADLYNation.com SAEA Banyana! Come and party with Sydney’s exclusive designers and finest performers and DJs. Featuring VIP fashions shows by ALEX PERRY and Ms Couture. Musical entertainment will include artist performances, dancers, House DJs and Old School DJs. The Paris VIP Tickets include two exclusive fashion shows, by Australia’s Premier Designer Alex Perry and Lingerie Show by Ms Couture, as well as Celebrity Guest Appearances and Entertainment and Champagne Packages. New York Room tickets will give you access to the finest acts and talents in RnB, with a line up of massive performers including Sydney’s own Mike Champion, much more. This event is going to be HUGE – and it’s all for Charity!! Statement by Martin Hodgson – Anti Death Penalty Coordinator, Foreign Prisoner Support Service. Please do not publish without prior consent and I insist on accurate reporting of this matter. 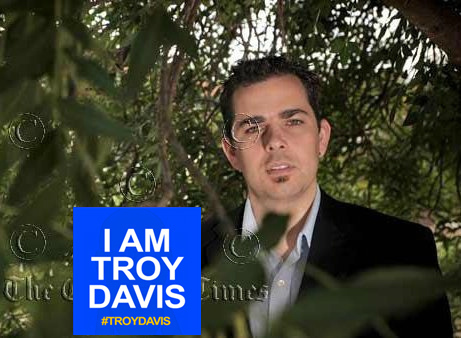 At 1.08pm AEST Troy Anthony Davis was executed by the state of Georgia, USA, for a crime he did not commit. Despite all the facts in the case, 7/9 witnesses retracting their testimony, no DNA or physical evidence and countless irregularities in the case the State of Georgia went ahead with what will be marked on Troy’s death certificate as a “homicide”. He was an innocent man who the justice system failed and he maintained that innocence until his death. Troy had the support of millions of people around the World and in the United States, he had the support of President Jimmy Carter, Fmr FBI Director William Sessions, The Pope, Archbishop Tutu, as well as countless Human rights groups, Celebrities and everyday people. Troy Davis fought not just for himself, but for those he knew would follow him to the death chamber. He did not want anyone to experience what he has been through and so in his name we continue our fight against the Death Penalty. One of the drugs used to kill Troy was Pentobarbital and I urge all nations to prevent the sale of the drug to any country that would use it in the machinery of death. Today a company profited a large sum of money for the supply of chemicals to kill an innocent man, this must stop. I urge Australia to continue to oppose the Death Penalty in all cases and to encourage our friends in the International community to abolish its use. We have an International obligation under the second optional protocol (ICCPR) and our media must also shine a light on this barbaric relic of the dark ages. Troy Davis was an innocent man, with courage, conviction and faith that his story would be told and that capital punishment will end. But Troy Davis was not an issue, not a hashtag on twitter or an evening headline. He was a human being, with real fears, with real dreams and with supreme courage. So as I say “I am Troy Davis” I invite Australians to read a small extract from a letter I received from Troy and know the connection he felt with us. Martin Hodgson – Anti Death Penalty Coordinator, Foreign Prisoner Support Service. UPDATE @ Bottom re: Fasting. Despite all the evidence, numerous appeals and support from around the World for his cause it now looks almost certain Troy Davis will be executed for a crime he did not commit. On Wednesday 21 Sept. 2011 the State of Georgia will summon Troy Davis from his cell, wait till 7pm, forcibly strap him down and inject his body with a lethal cocktail of drugs and wait the unknown time it takes until he is dead. With the Georgia Board of Pardons and Paroles having yesterday rejected his final appeal all legal avenues for clemency have now been exhausted. It did not sway them that the majority of witnesses have for a variety of reasons pointed out in my previous story changed their minds. It did not sway them that there is no DNA or physical evidence linking Troy to the crime and it did not sway them that the real killer has confessed. The Board stated previously they would only approve the execution if there was “NO DOUBT”. There is considerable doubt, not just in the evidence but in the way previous trials and appeal have been conducted and in the way at no point has a panel of judges been united in their decision. So much doubt that former President Jimmy Carter, Members of the European Parliament, Pope Benedict XVI, Archbishop Tutu, Jesse Jackson, Marthin Luther King III and former FBI Director under three Presidents William S. Sessions have all called for clemency for Troy. But nothing, these factors and many many others failed to convince the Board that there was even a microcosm of doubt in the case. We know with the help of DNA evidence that many Americans have been executed when they were in fact innocent and many more spared at the last moment by the work of The Innocence Project and other groups with the same DNA methods. Best selling crime author John Grisham for the first time wrote a nonfiction book based exactly on the tales of men waiting to be murdered by the state for crimes they did not commit. The main focus of the book, The Innocent Man, is Ron Williamson a one time Minor Baseball league star who spent 11 years on Death Row for a crime he did not commit. But because Troy’s DNA was not even present this scenario is an impossibility and he will be executed based on the word of people who have now changed their story and a system that refuses to mend its own error. This is the fourth time an execution date has been set. At the time of the most recent execution date in 2008 Troy refused to accept his “last meal” from the Warden. He would not accept that as an innocent man it would be the final meal he ate. And while I am now resigned to the fact that Troy Davis will be executed by the State of Georgia in solidarity with his courage and conviction I will not eat for what is likely the final 24 hours of his life. I do not do this as a protest but simply as an act of solidarity with a man whose faith in his innocence is unwavering. Having been involved in the anti Death Penalty movement for a decade of my young life I know that at these final hours it is rare that any change is made. I have worked on the cases of men I knew the evidence showed their innocence but who were put to death because the machinery of the justice system could not stop itself from killing. I have been involved in the good side of the issue where innocent men have been spared the fate of death because decent human beings decided to exercise sound judgement and vindication was sweet. 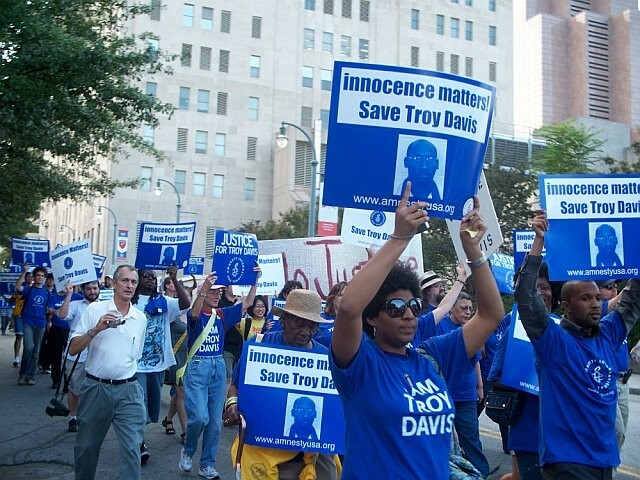 I join the NAACP and supporters of Troy Davis in marking the time of his possible execution as a moment to reflect on Troy, the Death Penalty and what we must do around the World to end this most abhorrent of dark age rituals. If a man who has spent the past 20 years on death row can have such courage and conviction then the least we can do is take the time to acknowledge the greater human rights issue this world still grapples with. As an Australian I am disgusted by the silence of the media in our nation. Reprinting general press releases is not journalism! We share a very close alliance and friendship with the United States, but friends must also point out the errors of each others ways. As Troy sleeps for the final time in this body, as he faces the Warden and guards and refuses to consume his last meal and as he allows them to take his body, but never his innocence or spirit I ask that you remember his words, commit yourself to the advocacy of ending the death penalty and say in your heart or out loud. Troy Davis as he has done in the past will refuse to eat his final meal. He does not believe it should be or will be his last, as he has utter faith in his innocence. So we join with Troy fasting in solidarity with him and act as an echo to his courage and conviction. In fasting we say to the world, “I am Troy Davis” and we unite behind a man who in his suffering has united us against injustice. Most people can safely go without food for 24 hours, but there are a few people who shouldn’t try it — including kids under 12, the elderly, pregnant or nursing women, and people with certain medical conditions. If you have any concerns about fasting, be sure to check with a doctor first. Troy Davis in his own words. A day before he is set to die by lethal injection in the state of Georgia, Troy Davis has issued this statement. In 1989 a Police Officer, Mark MacPhail, working as a security guard was brutally shot to death when he intervened in an argument in a restaurant parking lot. A man at the scene, Sylvester “Redd” Coles went to the police and gave them a statement to the effect that Troy had been the killer. Davis was arrested a few days later and was put on trial for the murder of MacPhail. The prosecution relied heavily on witness testimony, many claimed they had seen Davis pull the trigger, while others testified Davis had also confessed to the murder. There was no physical evidence or DNA linking Davis to the murder and no weapon ever found. But the evidence of the witnesses was deemed so strong that in 1991 he was found guilty and sentenced to die. During the trial Davis maintain his innocence, something that has not changed for 20 years. As anyone familiar with the US death penalty system can attest, appeals are many and varied, the process drags on for years and just as with the execution itself the road to the end is long and painful. There has been State appeals and Federal appeals, hearings by the United States Supreme Court and three previous execution dates set. Complex legal battles have been waged and the judges across all the hearings have never been united in their rulings. The system has evolved to mean that no man or woman alone shoulders the responsibility of an execution. Each and every step allows those who would prevent the execution of an innocent man to pass the buck, even in the face of overwhelming evidence. But if so many testified to the guilt of Davis, how do we know he is innocent and what has left courts struggling to agree on his fate? While legal complexities only allow certain courts to decide certain aspects of the case the facts themselves do not change. The man who reported Davis to the police was the previously mentioned “Redd” Coles. He had been hanging out with Davis in the parking lot and had started the argument that resulted in Officer MacPhail intervening. Redd had demanded Beer from a homeless man in the car park, Larry Young. Young refused Redd and as he walked off was pistol whipped from behind, in responding the Young’s calls for help MacPhail was shot dead. Immediately anyone with an ounce of common sense would point the finger at the man who had argued with and assault Young, Redd Coles. But it was Redd who would beat all to the punch informing the police it was Davis who had in fact murdered the officer. Redd was never treated as a suspect in the case and acted as a witness in the trial against Davis. Fast Forward to today and since the initial trial every witness apart from two have gone on the record to say that they had either lied under oath, been compelled to give evidence against Davis or actually believed that Coles was the shooter. The only two people to maintain Davis was guilty is a witness who told police at the time of the murder ” I wouldn’t know the shooter again if I saw him” and was only able to identify Davis in court when he was pointed out. The other to maintain their story that it was Davis and not Redd who had killed MacPhail, Redd Coles. Further compounding the errors jurors in the initial trial of Troy Davis say if they knew the evidence that is now available to all they would have found him not guilty. Over the years many law experts and Internationally known individuals have called for Clemency for Troy. Former President Jimmy Carter, Members of the European Parliament, Pope Benedict XVI, Archbishop Desmond Tutu, Congressmen/Women, Multiple District Attorneys, Martin Luther King III and Former Director of the FBI under three Presidents William S. Sessions. Over the years hundreds of thousands of individuals have petitioned the State of Georgia to grant Davis clemency, with one petition alone having the names of 600,000 individuals. The support for Davis is unprecedented since Capital Punishment was reinstated in the US in 1976 after it had been abandoned for four years from 1972 after significant controversies. Now the life of Troy Davis rests in the hands of the Board of Pardons and Paroles who set out a standard for clemency: “[The Board] will not allow an execution to proceed in this State unless and until its members are convinced that there is no doubt as to the guilt of the accused.” They will make that decision today and it is hard to see based on the evidence that there is not serious doubt. No murder weapon, no physical or DNA evidence and only the testimony of two people, one the probable killer. But the morality of life and death has been so lost in the complex maze of courts and higher courts, the buck passing from one official to another and the sheer strength of the US Prison Industrial Complex so overpowering that I am not confident of the outcome. In a decade of studying the death penalty and working on endless cases I have never been so sure that an innocent man could be himself killed for a murder he did not commit. I have seen both innocent and guilty executed not because of the crime they committed but because of the colour of their skin, the failings of their lawyers and the inability of a system to overturn wrong decisions. I have studied the execution reports of Angel Diaz who took an hour to die from lethal injection, a man convicted on the evidence of a jailhouse snitch looking to cut a deal. I have heard Winnie Mandela, Jamie Foxx and Snoop Dogg appeal for clemency over the highly controversial execution of Stanley “Tookie” Williams only to be denied by Governor Schwarzenegger. And I have seen innocent men walk free, one after another, having served 20 or more years on death row only to be saved at the last moment by DNA evidence. But nothing will be so gut wrenching as to see Troy Davis slowly and painfully executed for a crime the people and the powers know he did not commit. A system so unjust that its rules prevent it from making the wrong decision right and where only those without the capital get the punishment. Not much more can be done, the last papers are being filed and everyone, especially Troy and his family will hold their breath. For a decade I have been Troy Davis, a man, any man in a parking lot. But if they kill him on Wednesday, he, that part of me and of us, is dead! 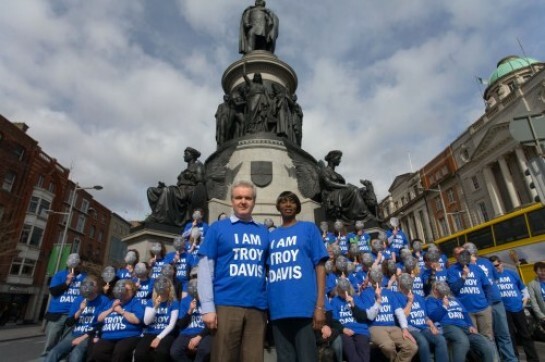 I am Troy Davis!